Neil Lobban River Tyne Reporter and AAPGAI instructor shares his thoughts about fishing the River Tyne this Spring. With the New Year celebrations well out of the way we are now looking forward to a new season on the Tyne with the river opening for salmon fishing business on Saturday 1st February. 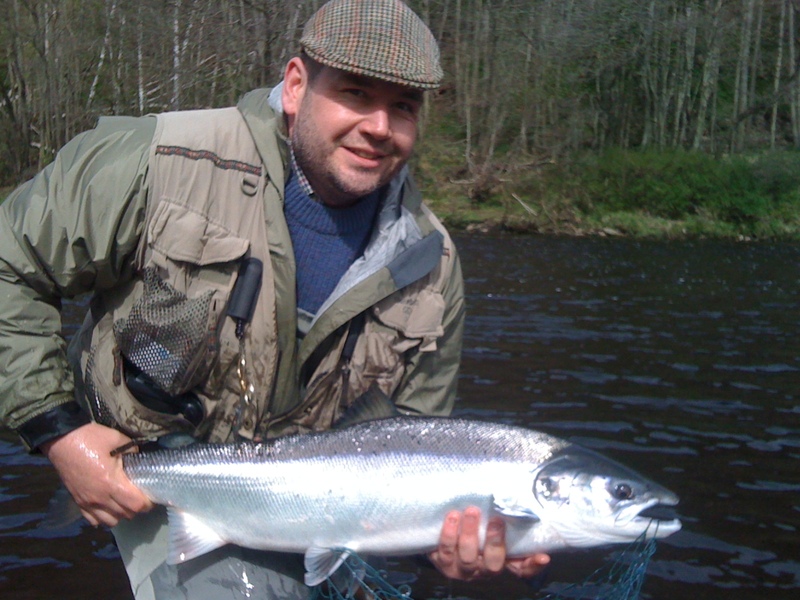 Early rods will be out looking for the first Tyne springer which brings with it the Game Angler trophy for a year. All fish should be landed quickly and if possible photographed and witnessed but returned quickly and unharmed to the water. Most anglers’ early season efforts will be concentrated from the fish pass pool, below Riding Mill, downstream to Wylam bridge pool – and all the water in between. Beats available through Fishpal in this section of the river include Bywell and Eltringham. Whilst fewer in number than their later running bretheren, Spring fish seem to take the fly very aggressively so if a fresh fish is seen moving or a known Spring lie is covered while holding a fish some reaction can be expected. Often moving the fly with a figure of eight or slow strip can make all the difference! The Tyne is not too deep a river in most parts so full sinking lines are rarely necessary to be successful but an intermediate line with sinking tip, or in lower flows a floater with fast sinking tip, will be needed to get the fly down a bit. Popular Tyne patterns include Gold Bodied Willie Gunns, Orange shrimp type patterns, Black and yellows etc. usually tied on tubes at this time of year. Spinning is also popular with some anglers. Yellow Belly Devons or a Zebra Toby, fished deep and slow are long time favourites. I look forward to seeing you out on the riverbank and wish you luck in your pursuit of these special fish.